The definition of hybrid is “a thing made by combining two different elements; a mixture.” Automakers combined battery power with gasoline power to get hybrid combustion. 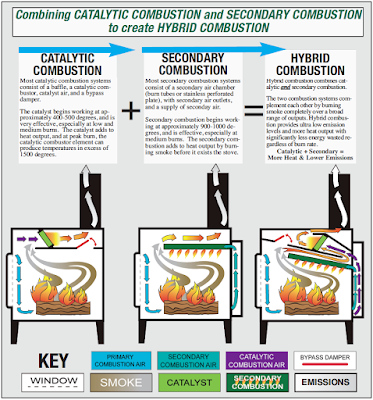 Our hybrid stoves combine the two elements of catalytic combustion and secondary combustion. Just like automobiles, this combination of elements provides higher efficiency and lower emissions. We felt combining the two known technologies was an obvious idea, especially with the EPA getting more stringent with emission regulations. It is clearly the best way to offer high performance, low emissions, and affordability. 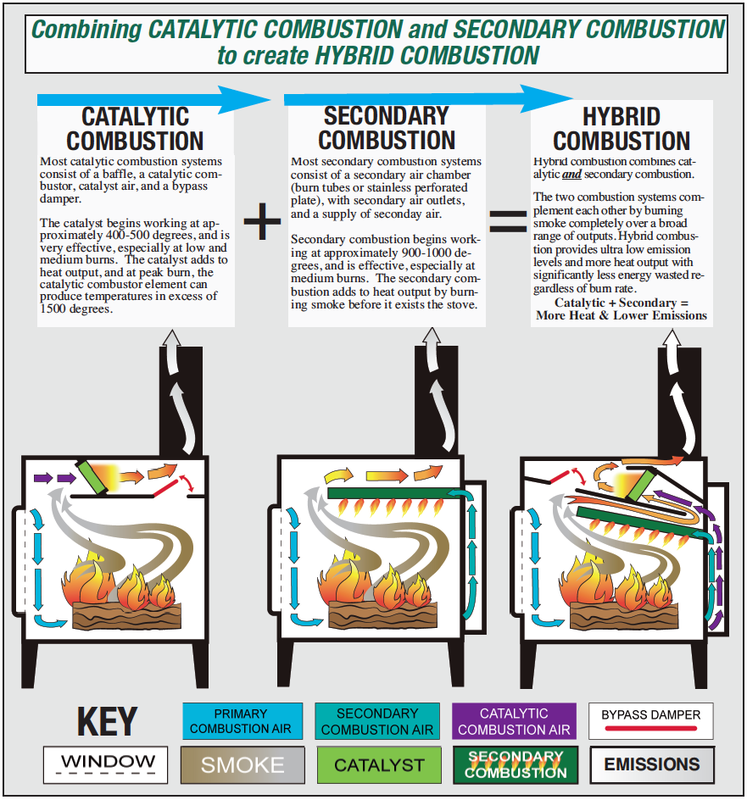 The diagram below provides a simple illustration of how our hybrid stoves combine both catalytic and secondary combustion.